November 3-4, 2017 two technical conferences will be held at one venue: Linux Piter #3 and Piter Py #4. The fourth annual conference – “LinuxPiter”: https://linuxpiter.com/ will be held in November 2018. The event is going to take two days – the 2nd and the 3rd of November. The conference’s door is open for everyone. The event will be interesting especially for Developers, Team Leaders, Heads of Divisions, System Administrators, DevOps and QA-Engineers. Presented talks address a wide range of topics, such as Storage, Cloud, Embeded, Network, Virtualization, IoT, Open Source, Mobile, Linux troubleshooting and tooling, Linux devOps and development processes. The main language of the conference and additional materials is English. The conference is going to be conducted in two flows: the first flow contains reports in English with simultaneous translation in Russian; the second flow contains reports in Russian with simultaneous translation in English. All the participants are allowed to visit PiterPy as a bonus – a friendly conference which will be going at the same time and the same place that Linux Piter. 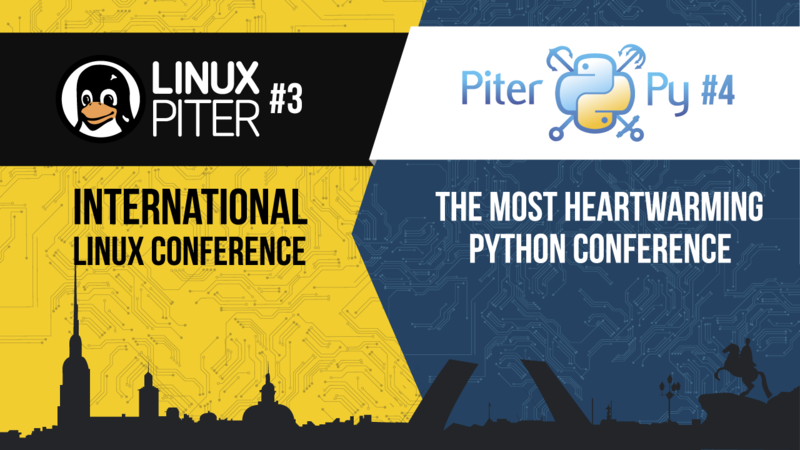 The participants both of conferenciens have a possibility to visit all the events of Linux Piter and PiterPy. Also there will be plenty of Master Classes, Livecoding events and great atmosphere of friendly informal communication. Conference programme is being formed actively right now so don’t forget watching for its changes “on the official web-site”: https://linuxpiter.com/.